← How Do I Get A Criminal Charge Off My Record in Florida? James Hines was accused of committing aggravated battery with a deadly weapon in Jacksonville Beach. The reason police arrested him is because others alleged that he slammed “his golf cart into a group of bachelor partygoers and then whacking one with his golf club, leading to a brawl ended by other stunned golfers and police.” As a Jacksonville assault and battery lawyer, I found it interesting that a 61-year-old man was arrested for aggravated battery on a group of men in their 20s, especially considering that the men were part of a bachelor party. It may be a stereotype, but bachelor parties are not known to be calm, alcohol-free parties. I would like to know everything surrounding this Jacksonville Beach battery story. Why would an elderly man attack a group of men half his age? There is only one of him and several of them. 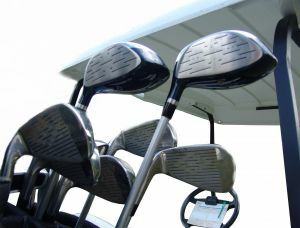 While it has been alleged that the deadly weapon that Hines had was a golf club and golf cart, the other men had golf clubs, too. Why would this elderly man attack? Was James Hines trying to defend himself under Florida’s Self-Defense Laws? Does Florida’s Stand Your Ground Law apply to his situation and these Jacksonville battery criminal charges? Did the young men commit assault in Jacksonville and was Hines merely defending himself? It appears that I am not the only Jacksonville criminal lawyer with unanswered questions about this Jacksonville Beach aggravated battery case. Hines was arrested on April 28, 2012, under Florida Statute Section 784.045(1)(A)(2). He was released from the Duval County Jail the next day. He was released from jail without posting any money, since he was released on his own recognizance. This is not normal for a Duval County aggravated battery arrest. Hines’ case has been passed to a new Duval County court date seven times. The Duval County State Attorney’s office has not filed charges. It is not normal for the prosecution to wait over two months to file charges. In my experience as Jacksonville criminal defense attorney, I have went through this before. Usually when this type of delay occurs, the Jacksonville criminal defense lawyer and prosecutor are discussing the case and the evidence. There is a good chance that the aggravated battery with a deadly weapon charges may be dropped. The State Attorney may choose to file another charge based on the evidence. Depending on the facts of the case, I have seen battery charges amended to fighting or affray in Jacksonville. Aggravated battery charges may really be Jacksonville assault charges if physical contact between the individuals did not occur. Some felony battery cases are bumped down to misdemeanor disorderly conduct charges in Jacksonville. If you need the services of a criminal lawyer in Jacksonville, 20 Miles Law can help. Call a lawyer in Jacksonville at (904) 564-2525. You can also send an email at Contact Us.